I am really going to start getting a reputation after this post. 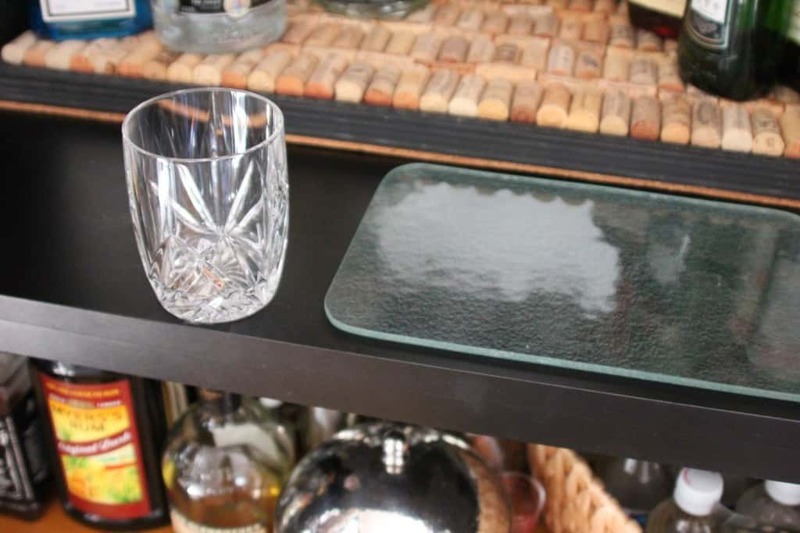 I have waxed on about built in beverage centers, setting up a bar in your bay windows, and even went so far as turn an innocent baby changing table into a bar cart. 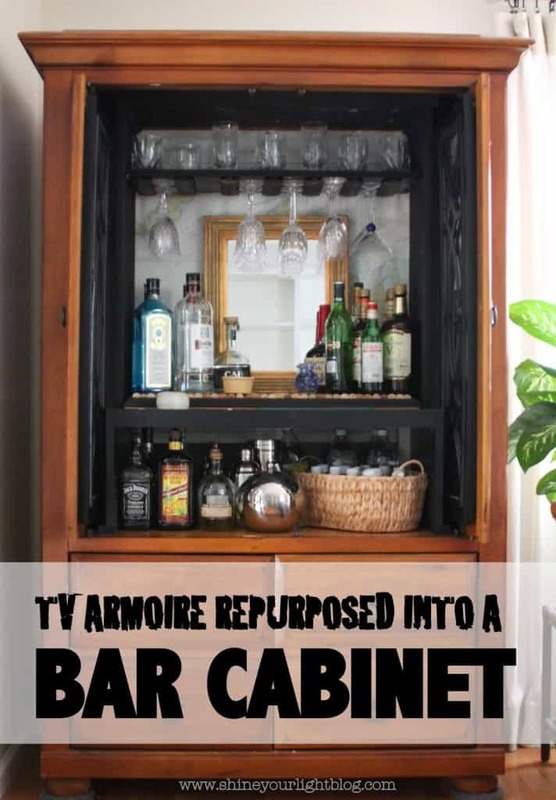 Now I’ve taken our TV armoire and made it into a bar cabinet (again). 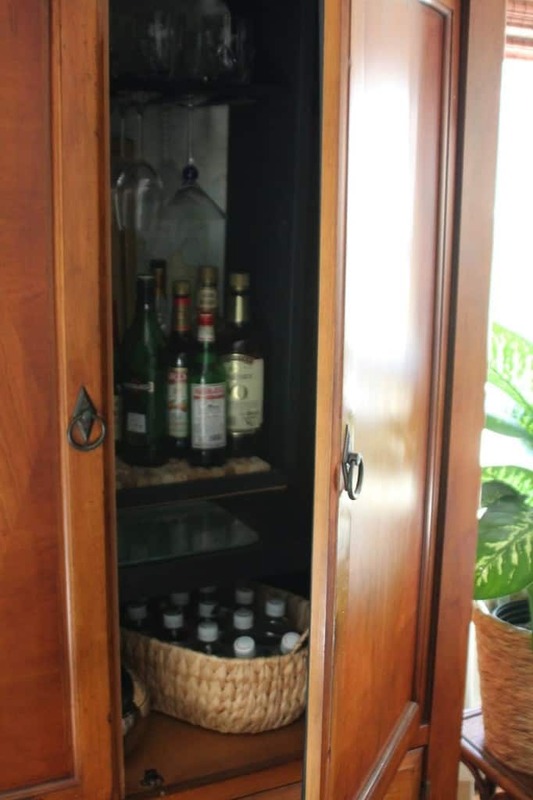 This is the armoire that once stored our old tube TV (two houses ago), then very haphazardly became a place to store our liquor (one house ago), and then became a home office (current house). It’s had a lot of life in it’s years. When I decided to build a wall of bookcases in our living room, I was going to have the armoire moved out of the room, but reconsidered. It is one of the few pieces of furniture that we’ve had for many years that I don’t want to either kick to the curb or paint. 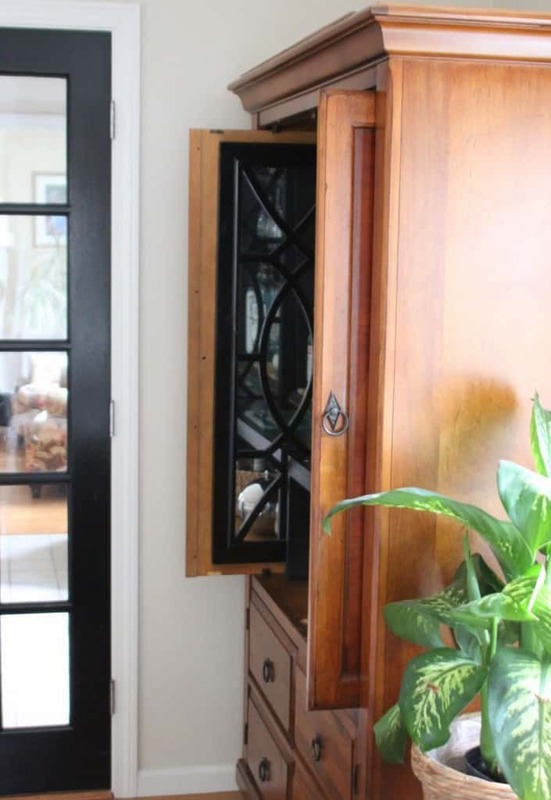 It has a pretty diamond pattern on the doors and is a super heavy and well built piece. 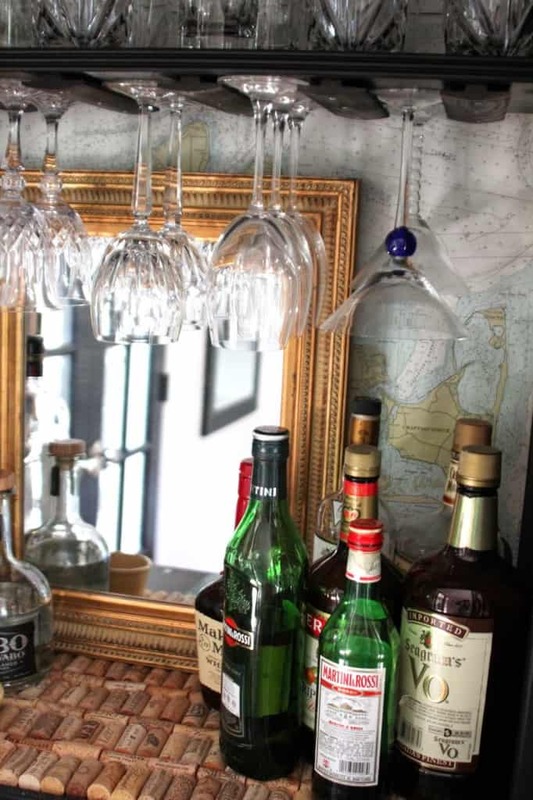 I always thought this cabinet would make a great bar with a little elbow grease, and so, in the midst of the biggest carpentry project I have ever taken on by myself I thought it would be a super idea to start a whole other project. 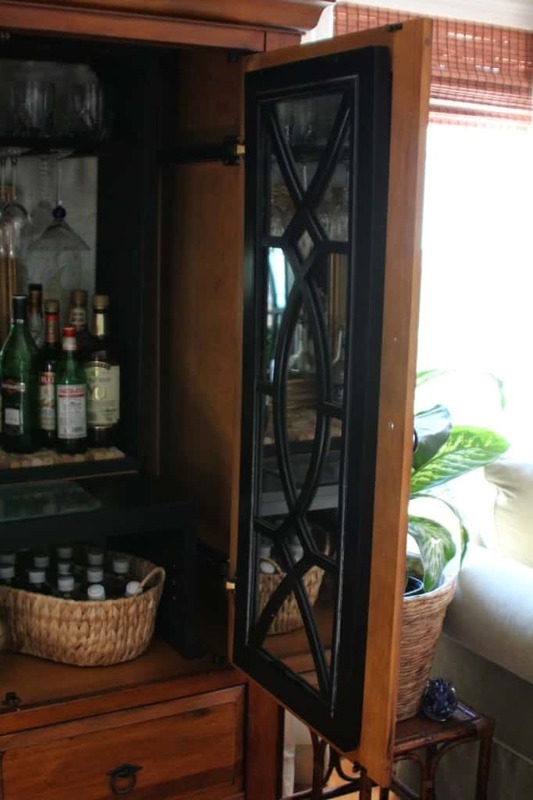 Did I mention this bar cabinet is fashioned out of an old ping pong table, a broken outdoor umbrella, left over trim found in the garage, and a bit of shopping the house? The funny thing that our good friends can attest to is that with three kids ages 15, 13 and 11 playing gazillions of sports, we have ZERO time to entertain. If we are having a glass of wine it is more likely to be at the local tavern where we are having burgers with the kiddos after a baseball or lacrosse game. ‘Tis the season of our life and we are so glad to be in it! 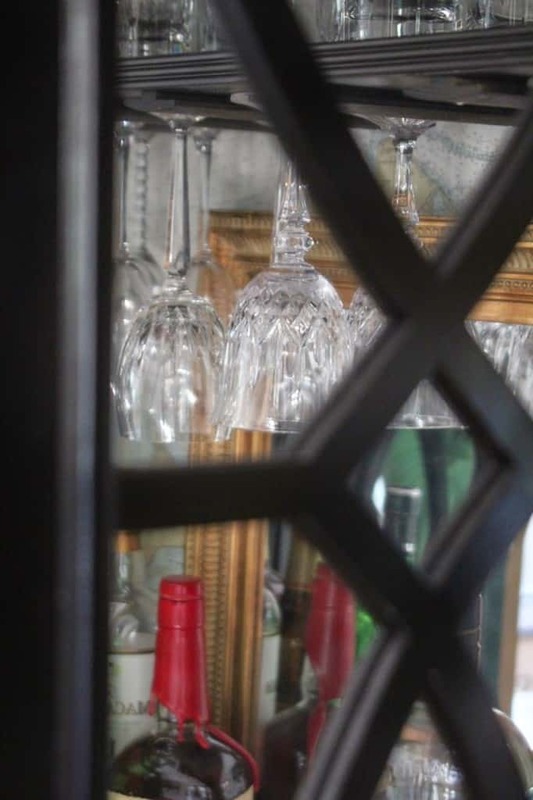 In the meantime, now all our liquor and barware is in one spot if ever the occasion presents itself to actually have friends or family over, and the armoire has form and function in our living room. 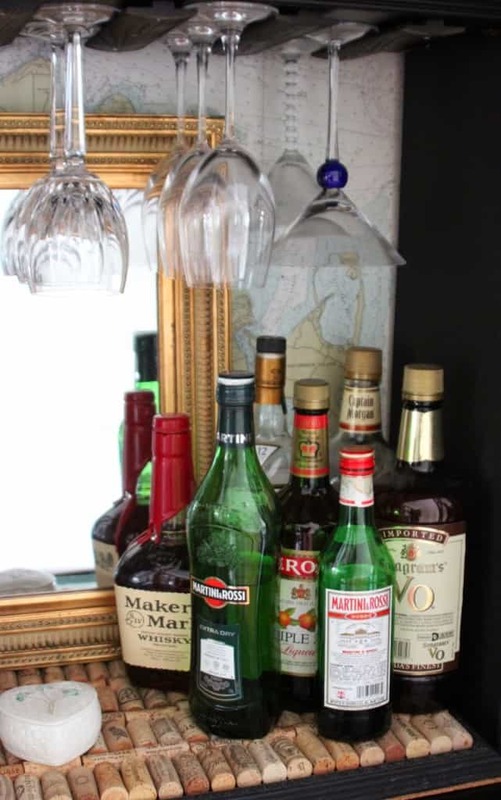 Visit this post to see how I upcycled a broken ping pong table and other castoffs into this bar cabinet! Hahaha! 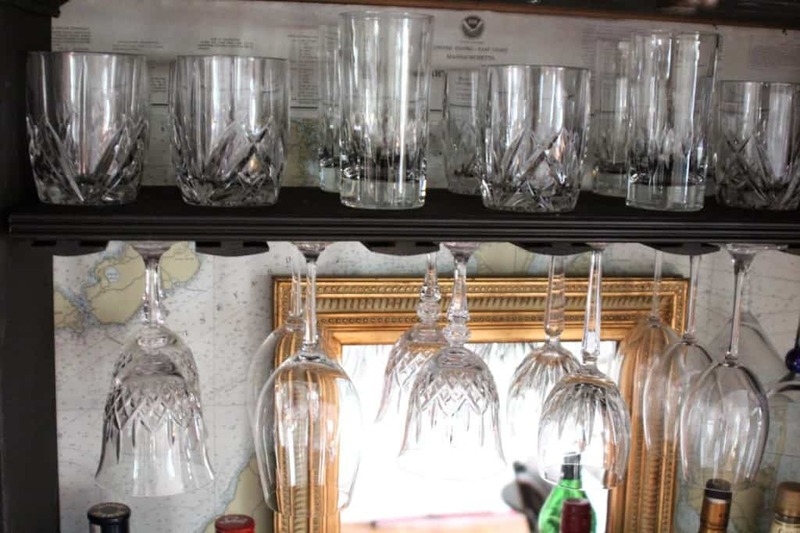 Don't worry, your reputation is still very much well and dandy in our books despite all the beverages stations you've posted about around your home! 😉 Love this one – a great way really to use old armoires that are everywhere right now. Love how you added the mirrors too Lisa! Great idea, Lisa! Looks really good. Love the mirror and the map. wow lisa! such a great idea!!! i love how it looks, love the styling and black accents! What a great idea! Looks amazing. Your 'shopping' list is greatness! I'm looking forward to hearing which pieces were used for what. That says a lot that I haven't figured it out just by looking at the picture. Good work, Lisa! Well now that's creative! 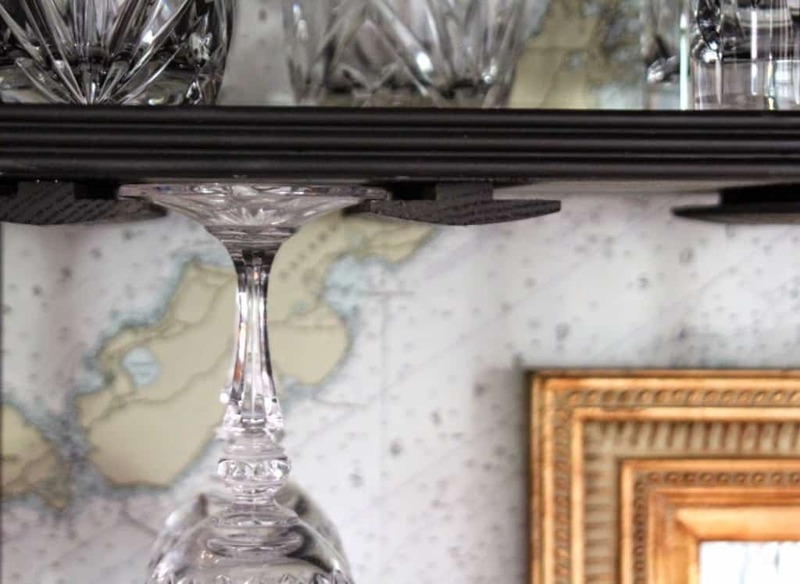 Great way to repurpose an old piece. Looks great. Fabulous job! 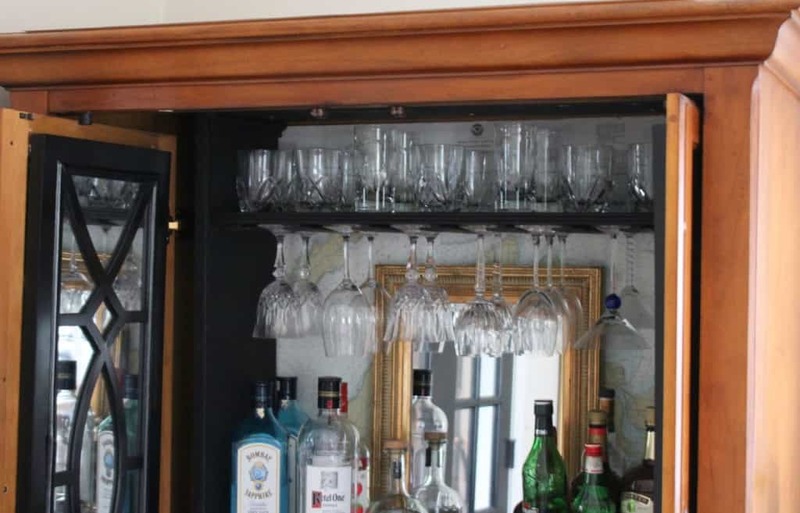 I have a similar cabinet which is now being used to store blankets, but a bar is more fun! 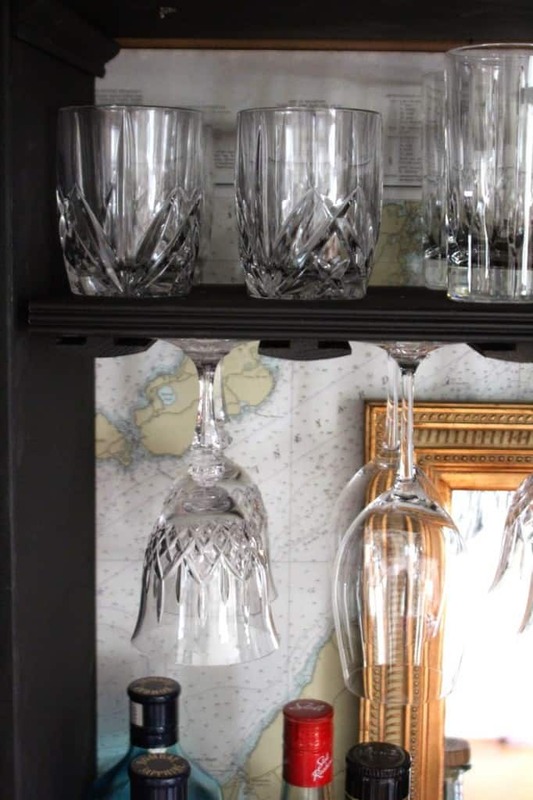 You are so clever, the mirrors were such a smart idea to give it a little pizzazz! 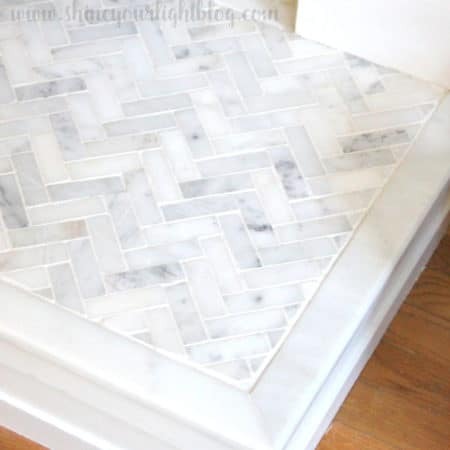 It will be so functional, I know you'll love it when you get to entertain again someday! :)And, I'm totally stumped with the umbrella part you used! 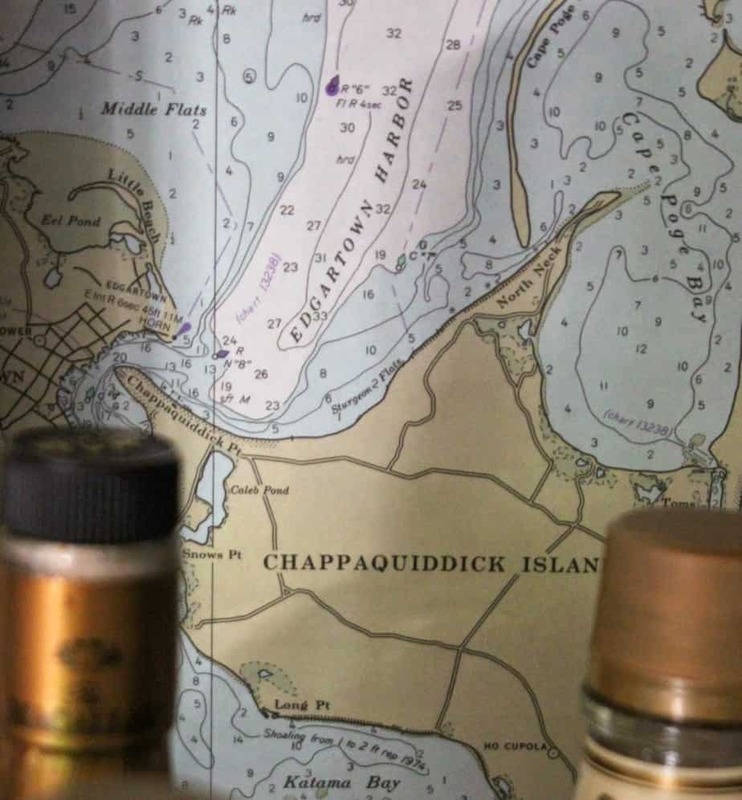 Lisa- this looks amazing with the mirrors and the nautical chart for the backing. This is so smart and useful! Great job. I've never met a bar I didn't like. 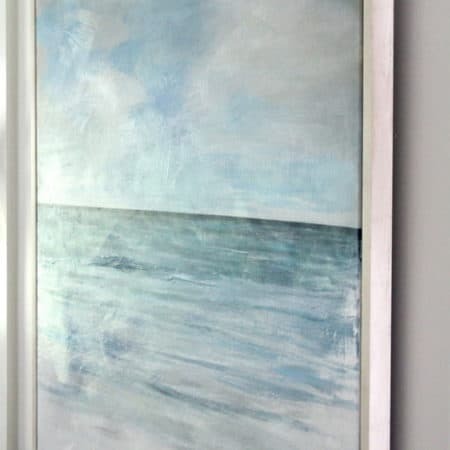 🙂 I love the nautical map and the mirrors make such a huge difference! Great work!